Here are some recipes for you from a recent dinner. Cooking healthy is fun!!! 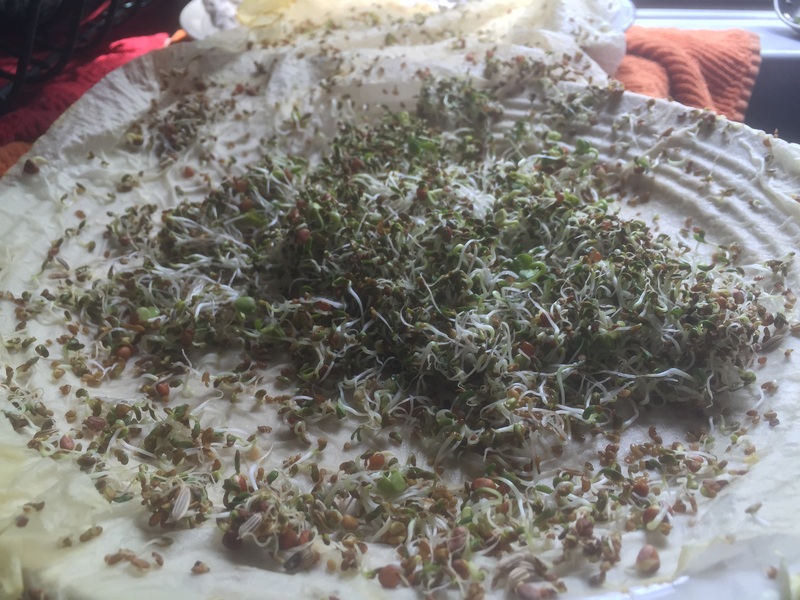 Sprouts are good in there too! Melt coconut oil and ghee (clarified butter – see video on how to make it here) in the frying pan, add onions and any spices you like (i often use curry spices like turmeric, ginger, cumin, and coriander) and of course salt and pepper. Add the mushrooms and carrots next for 5 min. and then add the brocoli. Teriaki is a big hit with kids as it has a nice sweet taste. It only takes a little. Add Pumpkin seeds at the end! Enjoy!!! This is a delicious fermented form of soy that is a lot better for us than tofu. It is less processed and has more texture and flavor too. Slice the tempe and put copious amounts of melted coconut oil and ghee on the tempe with salt, pepper, and nutritional yeast (loaded with B vitamins and delicious). Get it at the health food store in bulk or in spice section. Bake the Tempe at 400 F for 10 min. Then flip and bake 10 more min. Make sure it has enough oil not to dry out! Delicious!!! Cook in microwave for 6 min wrapped in paper towel that is damp, or in the oven wrapped in aluminum foil for 45 min at 400 F with your beets. Add melted coconut oil and ghee, salt and pepper and cinnamon! Notice how I cook with the coconut oil and ghee (clarified butter)! These oils are so good and they do well with high heat. Olive oil should not be heated. It is good on salads, but it denatures with high heat. It was fun to gather with friends last night and share some recipes. My goal was to create some things that are healthy and the kids would love. It worked. This makes the crust. Put cauliflower through the food processor add other veggies and then microwave for 8-10 min. Add in other ingredients and then bake for 10 min on 450F. Greese cookie sheet copiously with coconut oil or ghee first. Then put mix on pan and flatten out. Brush ghee on the top for nice browning. After 10 min switch to broil and go another 5 min. Make sure crust is firm. Then spread tomatoe sauce on top, add other toppings. I sauteed the broccoli first. Diced the artichokes small, and soaked the sundried tomatos in boiling water and diced those too. Use whatever toppings you have. Bodhi likes when I put bacon crumbles on there. These came out great and were also a hit with the kids. I cooked 2 cups of Quinoa in chicken stock (bone broth is great for the digestive system) and I added 2 cubes of rapunzel veggie boullion with herbs. I used the food processor to dice carrots, baby bella mushrooms, beoccolu, sugar snap peas and cilantro. Next I missed equal amounts of quinoa and veggies together. I added 3 eggs and 1 cup of cheese, Salt, pepper, and herb blend of spices. I put coconut oil in the muffin tins and melted it in the oven. I pulled it out and used a brush to spread the oil around in the tins. I did one tray of large muffins and one of the mini muffins. Add the mix and bake at 450F for 10-15 min. This came out delicious. I am a big fan of avoiding processed sugar. I prefer to sweeten things with maple syrup, honey or stevia. I like honey if it is not going to be heated. It is best to eat honey cold. Honey and Maple syrup have great health benefits. Sautee the onion and garlic with ghee. Add all ingredients into the blender and blend. This came out so yummy last night. I just put the whole head of cauliflower, a few cloves of garlic, garlic powder, and salt in the food processor and ground it down to rice size bits. I added herbs like oregano, thyme, rosemary and sage. Then I put it in a glass dish with a lid and microwaved it for 8 minutes. I then greased a cookie sheet with avocado oil and put the mix down and lightly brushed the top with oil. Then I put it in the oven at 450 degrees for 15 minutes. I had made homemade pesto earlier in the week. I dices broccoli,baby bella mushrooms and oinion and sauteed these in ghee. I soaked sundried tomatoes as well and dices those. Then I put on the pesto, added the veggies and put feta cheese around! I put it back in the oven until it was melted. It was delicious. 5 reasons to avoid carbonated beverages!!! Here are five reasons to avoid carbonated beverages. Carbonic acid Nuetralizes your Hydrocloric acid in your stomach. HCL acid is responsible for killed off bad bacteria, fungus and yeast that come in on our foods. It also causes a PH change that signals your pancrease to release enzymes to help break down the food. So if the PH change is nuetralized then you get no enzymes. It eats away at your stomach lining. This causes cracks in your stomach lining and then bad bacteria and un digested foods can leak out. Cracks can lead to ulcers. Unwanted stuff leaking out leads to asthma, allergies, and food sensitivities. It destoys enzymes on any raw food you have eaten. All raw food has the enzymes necessary to break itself down and some have enough to break down other foods as well. The CO2 will kill off these enzymes though. CO2 is poison to our bodies. Your body wants to get rid of CO2 not take it in. That is why you burp it up. If we get buried under an avalanche, its the CO2 build up that causes someone to suffocate. Why would we add that bake into our bodies. Truth is we probably won’t once we understand why not to. Sugar 1 soda = 45lb of sugar/yr. When we use up our amylase enzymes we will become diabetic. Processed sugar is a drug and a poison. It is so bad for our bodies and our blood and not easily digested. Read your labels and avoid it!!! If you are interested in feeling better, upleveling your health, having more energy, sleeping better, and having your body function at it’s highest level then check out my program that is starting February 14th. It is all online and easily fits into a busy life. We focus on time management, habit changes, aligning with nature, and easeful living. As well as nutrition, exercise, and meditation. It is so fun and life changing. Please go to this page for more information. Don’t miss out on this amazing journey. It is so fascinating and I wonder how I did not know this before. It just makes so much sense and feels so much better to the body and mind. How to Eat? THIS IS THE MEDICINE!!! I just listened to a great talk from Cate Stillman at Yoga Healer and Dr. Mary Jo Cravatta with Awaken Within Yoga. I also learn so much from Cate’s sharings with the world. I think I have listened to it 5 times or more now to deeply grasp the concepts, and I am enthusiastic to share with you some of the main points that I find so helpful! Sit Down!!! Get grounded before eating with a moment of silence, some deep breathing, or a prayer. This allowing the sympathetic nervous system to turn off and the parasympathetic nervous system to turn on. This is essential for proper digestion. If we are in fight or flight then the blood goes to the extremities not to the belly. Eat quietly!!! If someone ask you a question just after you take a bite, then you have 3 choices. a) chew fast and shallow b) chew slow and be rude c) talk with a mouth full. None are good options and two produce AMA or toxins in the body! See below. Don’t talk while eating. Eat consciously!!! Truly and deeply taste and enjoy your food. Then you are in tune with what your body needs and when to stop. Overeating is toxic leaving the body no room for the digestive enzymes to mix in and do their job. Sit for 10 minutes after eating before getting up! This is the time to talk and enjoy your company. If we stand up right away it brings the air up and we lose our digestive fire. Wikipedia: In ayurveda, ama is the concept of anything that exists in a state of incomplete transformation. In particular, it is claimed to be a toxic byproduct generated due to improper or incomplete digestion. The concept does not have a direct equivalent in standard medicine. “Ama” is a Sanskrit word literally meaning “uncooked” or “undigested”. Ama creates toxins that build up in the cellular tissue of our bodies. It blocks the flow of energy and conciousness in the cells. Ojas is a Sanskit word that means “Vitality or Vigor”. It is the life force energy that builds after 30 days of the digestive cycle and is responsible for improving health, energy, healing, strength and happiness. It is what prevents disease and heals the body. Ojas is described as our essential life energy. For Ojas to form we need complete and proper digestion. It circulates through the body and tissues to nourish all the cells and bring the body into balance as well as the mind. With no AMA and lots of Ojas we can reach a state of BLISS and tap into the Universe! Ojas is what gives us drive and enthusiasm. Ojas is the Light of Life and one with Ojas GLOWS! It is the most refined level of manifest creation. Ojas is consciousness becoming physical. Consciousness is what does the healing in a person. In the Charka Samhita Ayurvedic text it compares Ojas and an alcoholic as opposites. The alcoholic who is living on the streets has a mind that is not clear, skin that does not shin, dull eyes, not functioning well, and different systems in the body are shutting down. They has lost their OJAS. NO! NO! NO!!!! We can feel GREAT well into old age! We can have clear thoughts, positive nature, healthy nervous system, vitality and vigor, a body that can heal itself, and happiness. It is our birthright to feel GOOD! Just like it is our right to breath deeply, feel deeply rested and deeply energized in life. Digestion plays a BIG ROLE! This including digestion of emotions and information as well. Heart – that is lonely, upset, lacks stillness, is sad, disappointed, angry, bored or has a general lack of wholeness, wellness, and peace then we get a build up of AMA and the digestive system can not relax to have the enzymes break down the food and absorb the nutrients. So then the food becomes toxic in our cell. We produce AMA and it travels to anywhere in the body especially weak places like the joints causing arthritis, or we may end up with liver problems, arthritis, ulcers, colitis, or any number of physical aliments. It is so important to get grounded before eating, be in the body, settle and deeply listen and feel. This is the MEDICINE!!! Ama is one of the main reason people are overweight! This can be from an imbalance of the mind and heart. Such eating like emotional eating then comes up. We are not focused and don’t know when to stop. Then we overeat, eat when we are not hungry, and are unaware of what our body really needs. Overeating – we need air/space for the enzymes to move around and for oxygen to stoke the fire of digestion. Just like a fire need air to burn. If we smoother the fire it goes out. When we blow on it burns well. Leave space for digestion to happen. Ayurveda recommends 1/3 water, 1/3 food, 1/3 space. Eating when not Hungry – If I am not hungry then that means I do not have enough digestive fire to break down the food. If I can’t break it down then it becomes AMA. Eating too late – Eat an ealier lighter dinner. Our bile is highest in the middle of the day so it is best to eat your bigger meal in the middle of the day and have soup or salad for Supper (“supplement”). Ideally eat before 6pm. The Liver? How is it affected by Digestion? After the food goes through the belly and small intestines everything but the fiber that is getting excreted goes to the Liver via the Potal vein. The liver is a filter, it detoxifies everything. It will hang onto toxins. Which is why in Ayurveda it is recommended to do a cleanse in the spirng and fall to reset the system. So you can see how important it is to eat properly, avoid pesticides, chemicals, and things like MSG. It all goes immediately to the liver depletes our OJAS! Acid Reflux is generally related to inflammation and excess heat in the naval chakra area. Digestive fire can be too hot, the liver can be too hot, or the intestines can be too hot. This can lead to ulcers, colitis, or many different problems with digestion. Anything, anything, anything!!!! that goes into the body relates back to what goes on emotionally, mentally and spiritually. Any undigested experience, emotion, or information can effect digestion. So as a kid if we don’t have the tools to digest an experience then it can get stuck in the ethereal body (energy body) for us to process later. I read an article fro mmindvalley where he talked about a meditation class he took where they hook the brain up to messure the brain waves and meditate. What was found is that forgiveness was the fastest way to enlightenment. Going back through ones life and forgiving the self and others helped raise the brain waves more than anything else. A lightness comes from forgiving and healing. Bottom line: How do we increase the flow of conscoiusness in ourselves? Get Grounded before eating!!! We have a choice, we have free will. Once we have the knowledge then it is our responsibility to choose. What will hold us back is our old cellular memory. It is deep and draws us back in to our old patterns. If we conciously choose and put attention on it then we can shift. At first we will have to constantly remind ourselves. Come at it from a place of compassion. Notice what pulls you off! Interestingly! Be Super Curious and Forgiving!!! Digestion inertwines so many parts of our existence. Having the body be well means healing the heart, and healing the mind too!!! So enjoy your next meal like you never have before!!! THIS IS THE MEDICINE!!! Enjoy your next meal like you never have before. Close your eyes and truely taste your food! Micronutrients! Give your body what it needs with these 11 tips!! Do you want to have lots of energy, feel deeply nourished by your diet, have a great immune system, and get plenty of good quality sleep? One key part of creating all of this is to make sure you are getting the micronutrients you need in your diet. Micronutrients are vitamins and minerals that our body needs to thrive. In our foods today there are much less than there use to be. We have genetically altered many foods so that we can use pesticides like roundup that depletes the nutrients – double whammy! Dandelions in front of my flowers. Easy to find right out the door. No spraying of chemicals on these powerful plants for me. Variety of super foods. I mix them together so a smoothie or drink is fast and easy to make. So here are some tips to give your body more of what it needs. When your body gets all that it needs, you will optimized your energy, sleep, and health. Our bodies can heal themselves when we add in the good stuff and take out the bad!!! Eats Sprouts!!! Loaded with enzyemes and micronutrients! Check how and the benefits on my blog post HERE! Go to the Farmer’s Markets!! Local produce travels less and will have more vitamins available to you. Ask your grower if they use pesticides on produce. For meat and dairy 100% grassfed is the best!!!! Buy Organic!!! This is a good way to ensure that your food is not genetically modified ( it doesn’t work the same in your body), loaded with pesticides, hormones or antibiotics. See here for information from the Environmental Working Group about the most important produce to buy organic and which ones are okay non organic. Here is the quick list for 2015!! Dirty Dozen – apples, peaches, nectarines, strawberries, grapes, celery, spinach, sweet bell peppers, cucumbers, cherry tomatoes, imported snap peas and potatoes. Eat Your Dandelilions!!! One of the most powerful sources of micronutrients available to us. And right out our door. So lets stop spraying roundup to kill these valuable plants and eat them. Don’t eat ones that have been sprayed. Put them in smoothies or salads. You can also chop them fine and add them into burgers or stirfrys. Eat the leaves. 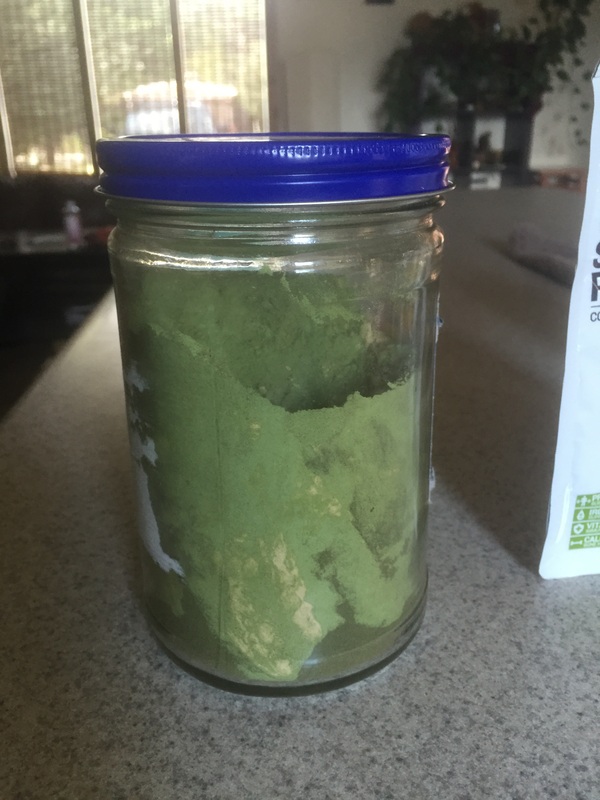 Green Powders and Superfoods!!! According to a recent book I have read called the Micronutrient Miracle, it is nearly impossible to get all we need and 98% of people are deficient. So add in the Superfoods Here is what and how! Goji Berries – antioxidants, boost immune system, high in vitamin C, check with Dr. if on blood thinner or high blood pressure medication. 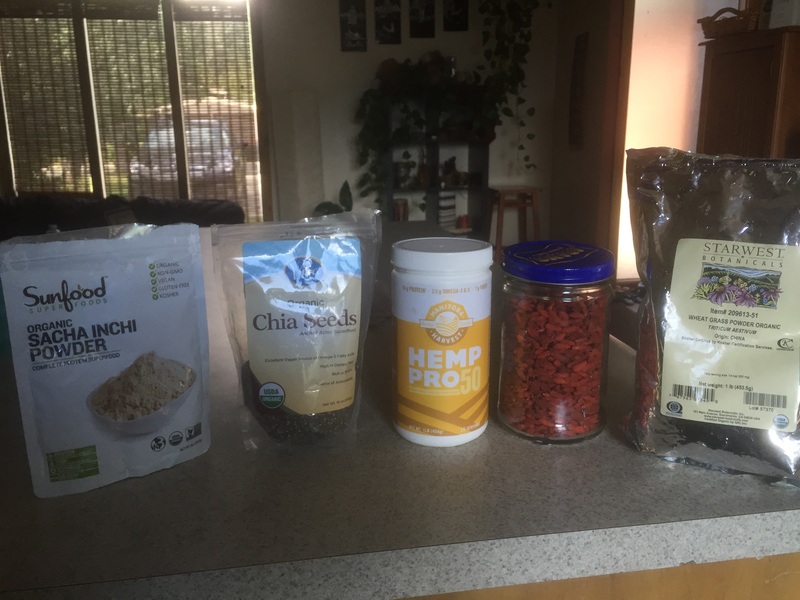 Smoothie Recipe: I take a large glass jar and mix Vitamix green powder, Hemp powder, Sancha Inchi Powder, Maca, and Wheat grass. Then when I go to make a smoothie a put in 2 tbsp. 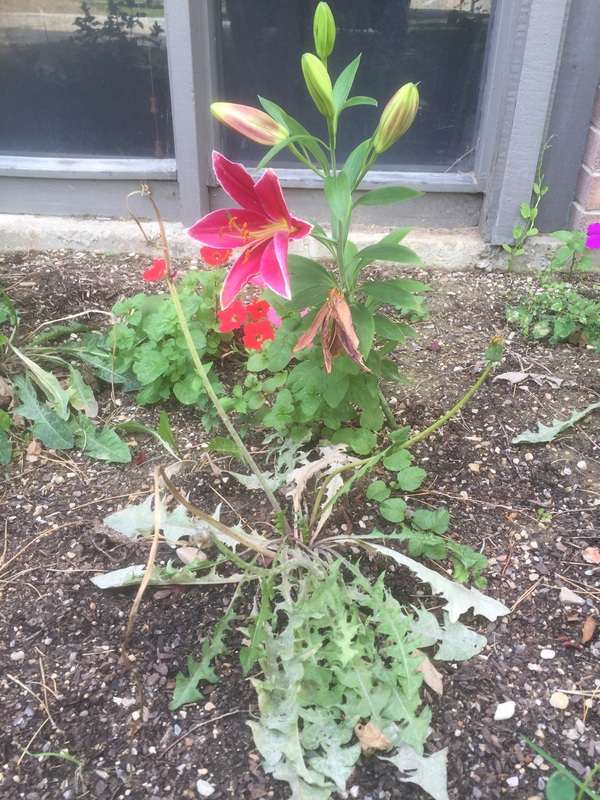 , along with ginger, dandelions, goji berries and chia seeds. Add water. Sweeten with stevia, a orange, a banana or other fruit. For an article with more details on spices and there benefits go Here! Spices can help boost your digestion and health! I take a high quality fish oil 2 times a day and vitamin D once a day. You can also eat wild fish 2 times a week to get the fish oils. I do both. 9. Cut out or Reduce Wheat, Soy and Sugar which all can rob your body of micronutrients. Hard to do I know, but just try it for 3-4 weeks and see if you feel better!! You may be pleasently surprised and notice your arthritis, autoimmune issues, allergies, etc get better. 10. Reduce toxins on your body and in your home. Buy all natural skin care products without preservatives. The Aluminium in Antipersperants in bad for you. Use oil instead of lotion (seaseme, coconut and sunflower oils are good ones). Lotions are a mixture of oil and water and to mix these there must be preservatives so they don’t go bad. Apply oil before showering and use a towel after that you can ditch in 6 months. The warmth of the water help drive the oil deeper. No need for soap. Or apply oil after the soap. Avoid Sodium Laryl Sulfate in shampoo’s, conditioners, and soaps which is irritating and carcinogenic. See article. Avoid chemicals in your cleaning products. I use soapy water or a spray bottle with water and essential oils like thyme, lemongrass, lemon, lavender, etc. They smell nice and have antibacterial properties. Reducing toxins in your life will make you feel better and allow your body to thrive as it should! Our bodies use micronutrients to eliminate toxins and they can easily get used up when we have lots of toxins in our lives. And this includes stress! So relax, do yoga and breath!! 11. Avoid Processed Foods and Trans Fats – Processed foods have been altered by chemicals and are hard to digest, and do not have very many nutrients. This includes fast food chains, and any food that can sit on a shelf for weeks. Do you feel deeply nourished by your diet? Could you use more energy? Want to feel better, maximize your physiology, and sleep better? Lets have a conversation and go deeper into your health and goals! Contact me soon! Or email me at winslowpassey@gmail.com!! Check out our Women’s Yoga Leadership Retreat coming up!!! 6 Tips to Avoid Colds this Fall!! Netti Pot Video Here!! Self Massage with Oil Video here! Catch a Snotty nose quick!! !– Snot is a breading ground for bateria and virus. Use a netti pot with warm salt water as soon as you get snotty to clean out the nasal passage and eliminate germs. Then gargle with warm salt water to clear the throat area too. If you ac re snotty you probably missed a clue already like dryness, fatigue, white coated tongue or stinky breath. Look for these clues and jump on the steps below! Prevent and Eliminate dryness!!! Oil Massage is the BEST!!! If your skin is dry, this is a sign that your lymph system is dry which lowers your bodies potential to fight off invaders. We need to stay well lubed outside and inside. Use an oil like seaseme, coconut, or sunflower oil and put some in your nostrils and ears. Sounds odd I know, but this is powerful preventative medicine and will save you a lot of grief. You are lubricating the areas of your body that are exposed to the outside world, offering you protection you and lubricating you. Also do self massage with oil before or after showering. Very powerful for relaxing your central nervous system and boosting your immune system. The skin is our largest organ, protect it well and avoid chemicals found in lotions and some soaps and shampoos. Oiling will prevent dryness which will soon be followed by snottyness. Dryness comes before the cold. You can also use a humidifier at night. 5. Hydrate!! Drink water between meals and cut down or eliminate caffiene, alcohol and sugary drinks. First thing in the morning drink warm water until you fully eliminate. Then you won’t reabsorb the toxins back into the body. Flush out your system so it can work well. 6. Lower Stress!!! Stress puts us into fight or flight. The blood then goes to the periphery and the body will not be able to fight off battery and viruses in the gut or elsewhere because it is preoccupied with fighting or fleeing. This is true even if we are not moving but have the stress response. Meditating daily is a great tool for learning how to better calm the brain. Here is a recipe from Cate Stillman with Yoga Healer for ‘Boo Candy’ which prevents colds!!! Add 3 tbsp. turmeric powder (you can dry roast it first in a skillet for added benefit). Cut the spices into the honey with the knife until you have a smooth texture. Add more spices for desired taste. Store in a small tin or small glass jar. Put on the kitchen table in reach for all ages. Little ones like to roll it into pea-sized balls.